The Cabinet Division on Monday published a gazette distributing portfolios among the new cabinet members immediately after its 47 members took oath at Bangabhaban in the city. There are 24 ministers, 19 state ministers and three deputy ministers in the new cabinet constituted following Awami League’s landslide victory in the 11th parliamentary election held on December 30, 2018. The 19 state ministers are Kamal Ahmed Majumder (Industry), Imran Ahmad (Expatriates’ Welfare and Overseas Employment), Md Zahid Ahsan Russel (Youth and Sports), Nasrul Hamid (Power, Energy and Mineral Resources), Md Ashraf Ali Khan Kashru (Fisheries and Livestock), Begum Monnuzan Sufian (Labour and Employment), Khalid Mahmud Chowdhury (Shipping), Md Zakir Hossain (Primary and Mass Education), Md Shahriar Alam (Foreign Affairs), Zunaid Ahmed Palak (Information and Communication Technology Division), Farhad Hossain (Public Administration), Shawpan Bhattacharjee (LGRD and Cooperatives), Jahid Faruk (Water Resources), Md Murad Hasan (Health and Family Welfare), Sharif Ahmed (Social Welfare), KM Khalid (Cultural Affairs), Md Enamur Rahaman (Disaster Management and Relief), Md Mahbub Ali (Civil Aviation and Tourism) and Sheikh Mohammad Abdullah (Religious Affairs). 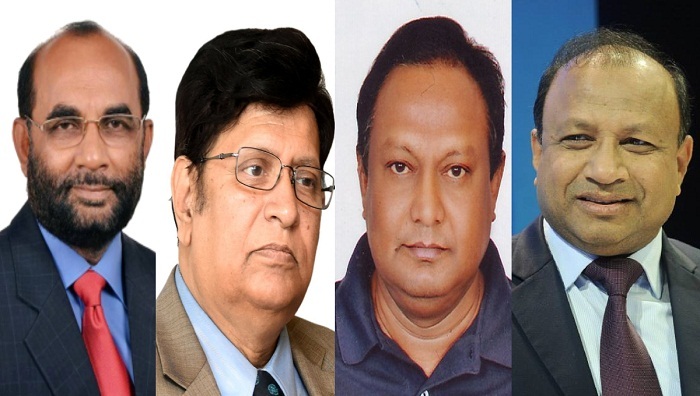 President Abdul Hamid administered the oath to the Prime Minister at 3:40 pm while to 24 ministers at 3:46 pm, to 19 state ministers at 3:53 pm and to three deputy ministers at 3:57 pm at Bangabhaban.